This is a gorgeous, stylish illustration of that most unusual bird, the Spoonbill. This Eurasian Spoonbill is in breeding plumage which includes the lovely long head plumes. 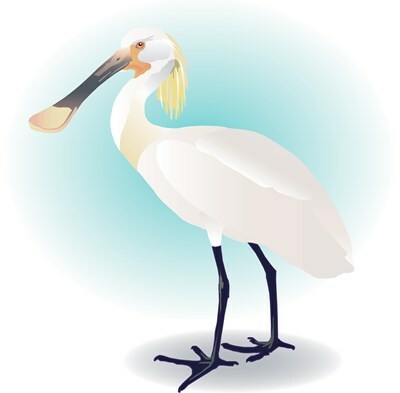 This beautiful illustration makes a unique gift for birders and anyone that loves Spoonbills. To order by phone, call toll-free at 1-877-809-1659 from Monday - Saturday 9:00am - 9:00pm EST. You'll need to note the Product Number 030-222973086 to make your order.